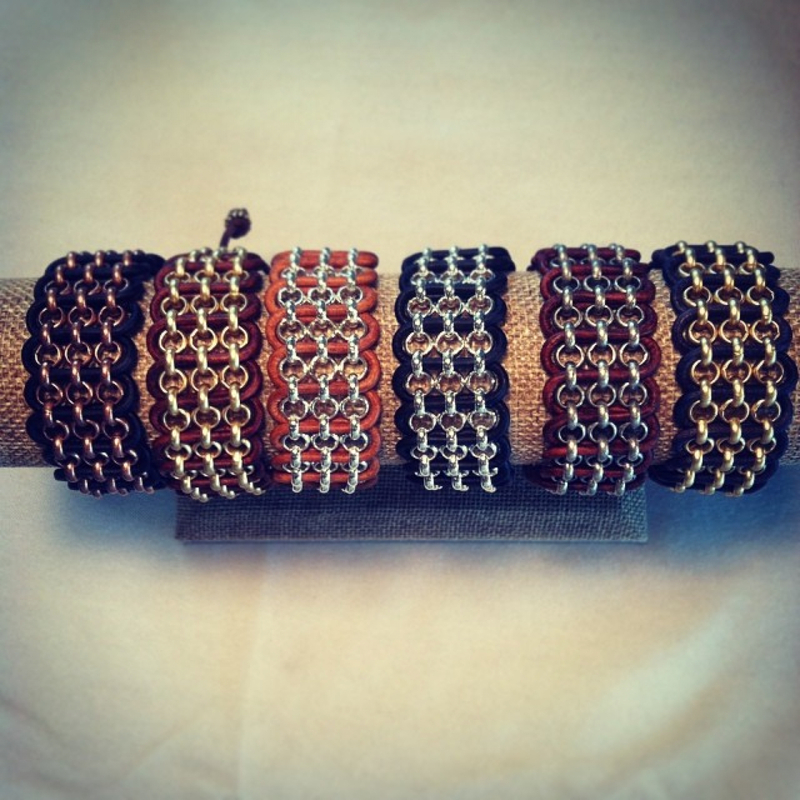 These casual everyday bracelets can be worn with just abut anything! The style is appropriate for both male and female and the size is adjustable. The leather comes in black, dark brown or light brown, and the chain comes in bright silver, antique silver, antique copper or gold. Please specify your choice of chain and leather in the comments section of your order.